Product #46688 | SKU EAP245 | 0.0 (no ratings yet) Thanks for your rating! 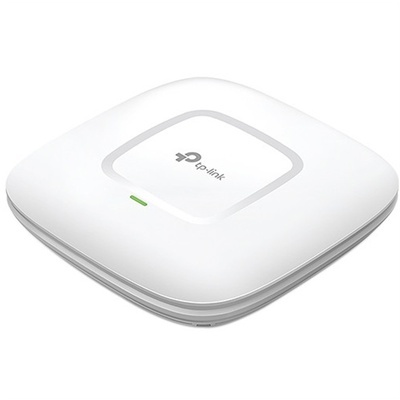 Extend the reach of your network without placing unsightly access points all over the office with the EAP245 Wireless-AC1750 Dual-Band Gigabit Ceiling Mount Access Point from TP-Link. This access point features a ceiling mount design making it aesthetically pleasing whether mounted to the wall or the ceiling. Installation has also been simplified as the EAP245 is PoE-compatible, eliminating the need to run additional power to this device. Once installed, you can take advantage of features like EAP controller software to manage hundreds of EAPs and the Captive portal to implement an authentication method for Wi-Fi guests.